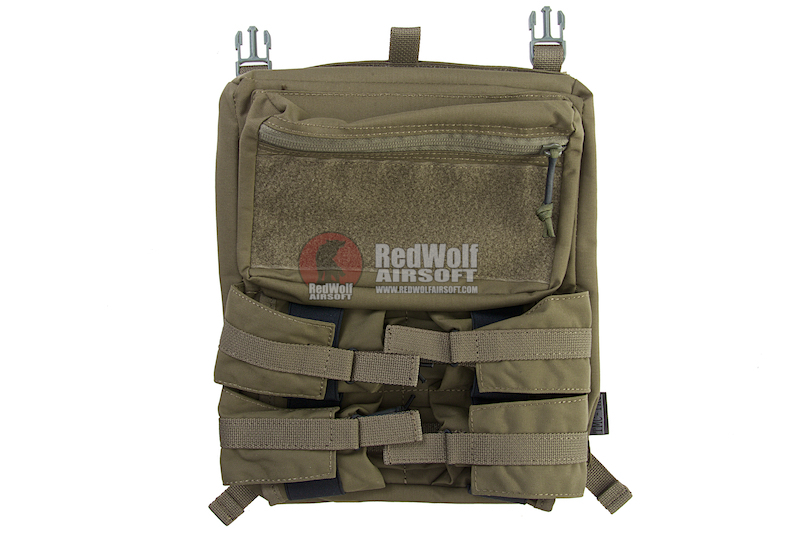 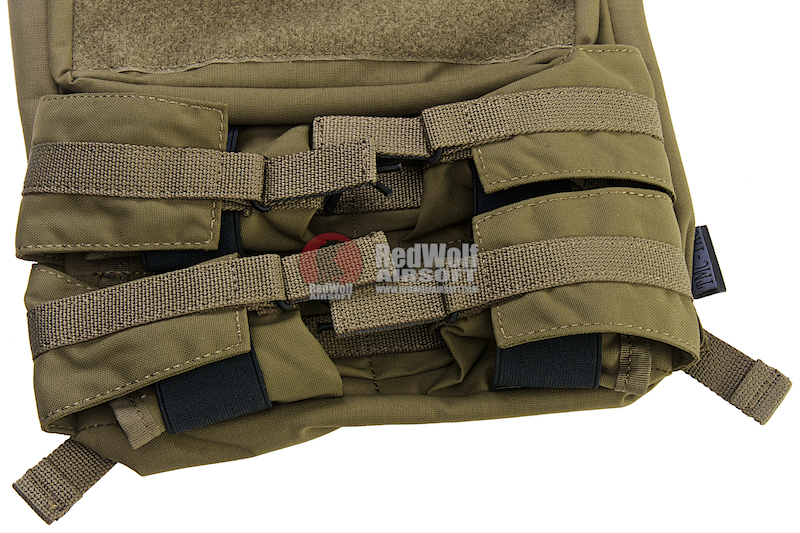 TMC Assault Back Panel for 420 PC is a low profile back pack which can attach itself to a the back of the 420 Plate carrier, also made my TMC. 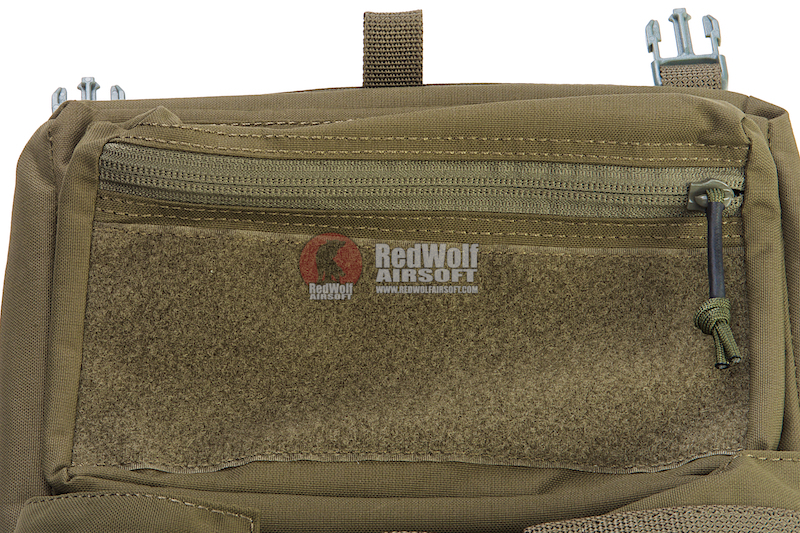 The Velcro seal opens up to one large compartment separated into two with mesh in between. 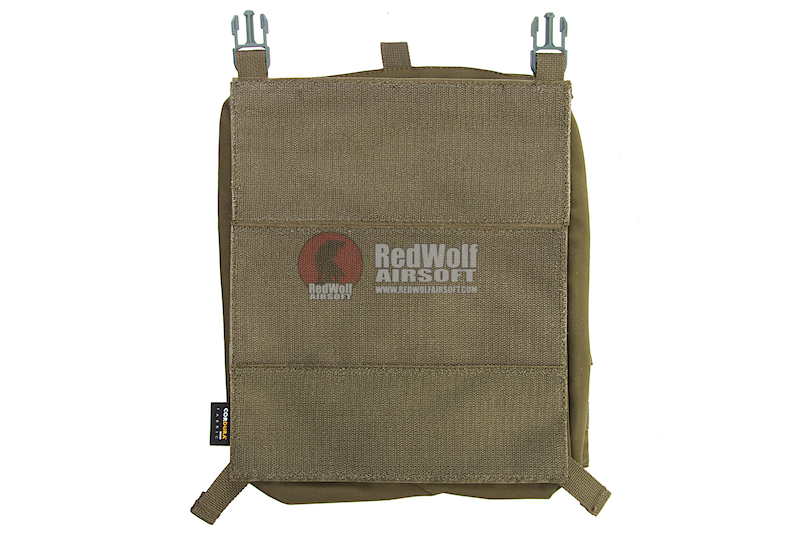 You can also find an admit slot at the top. 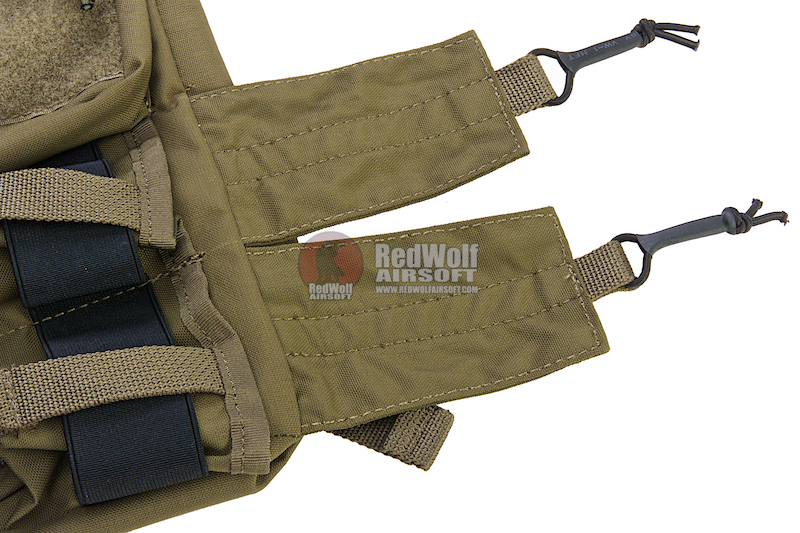 There are 4 slots for extra magazines which are held in by bungee cord.